The Foundation of Denville awarded grants to both Lakeview and Riverview Schools for Cube 3D Printing Systems. Powerful, quick, and accurate, but certified as safe for use by children, the 3D printer will introduce elementary school students to key S.T.E.M. concepts. 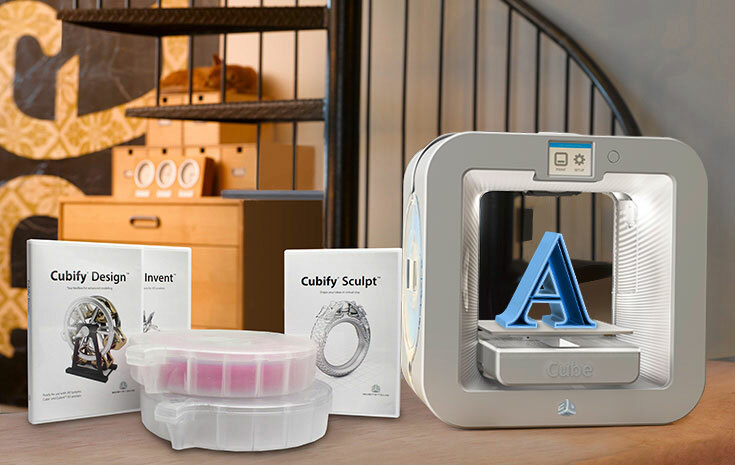 The new third generation Cube 3D printer offers more material colors, convenient features and faster print speeds, so 3D printing is easier than ever. The Foundation of Denville awarded grants to both Lakeview and Riverview Schools for eColor Poster Printing Systems. Learn about how the eColor poster printers are helping teachers create impactful classroom and hallway materials to introduce and reinforce both academic and developmental ideas.